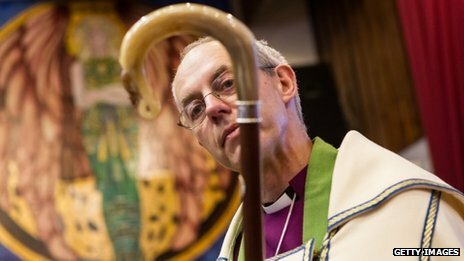 He comes to the Anglican Communion’s highest position from a post as Bishop in Durham, where N.T. Wright previously served. A piece on him in the New York Times is here. 4. He set up a special day for bereaved parents in Coventry Cathedral. There is now an annual service commemorating the lives of children who have died. A book with the names of lost children is always on display in the cathedral – anyone who has lost a child under any circumstances can ask for their child’s name to be added to the book. Bishop Welby’s own eldest daughter, Johanna, died when she was just seven months old in a car crash in France in 1983. He has previously said her death brought him and his wife Caroline closer to God. The couple have five other children. The rest of the BBC article is here.